Oriental Pratincoles Glareola maldivarum are usually seen in large flocks in Australia and the numbers can be staggering as I mentioned in a post some time ago. They can be seen roosting on the beaches in the heat of the day or swirling up in the sky like a smoke plume as they take advantage of the thermals. 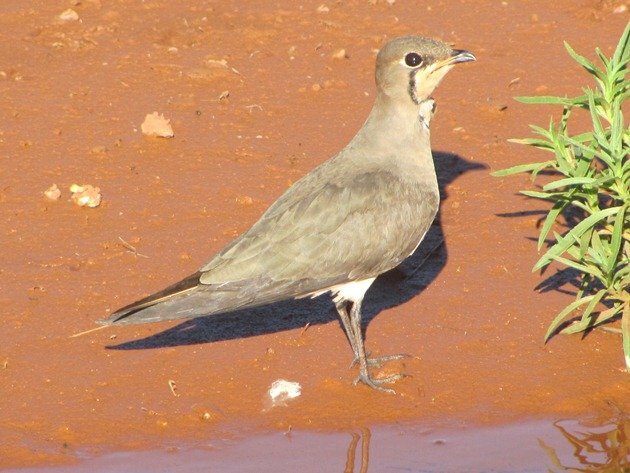 We observed both the Oriental and Australian Pratincole on New Year’s Day in Broome, but the situation was not ideal for photographing both species. 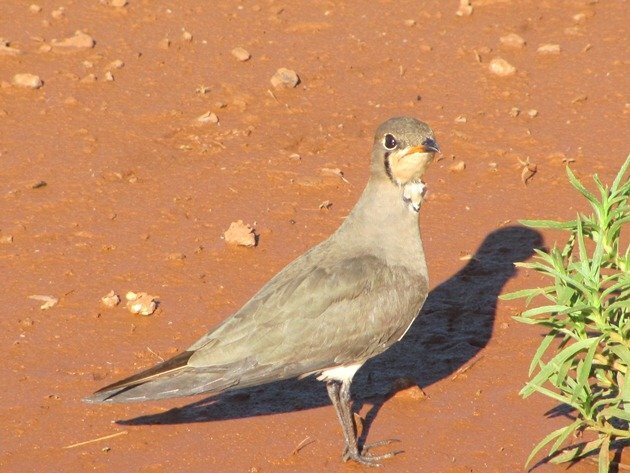 The “bib” on the Oriental Pratincole is quite a defining feature, as you can see. 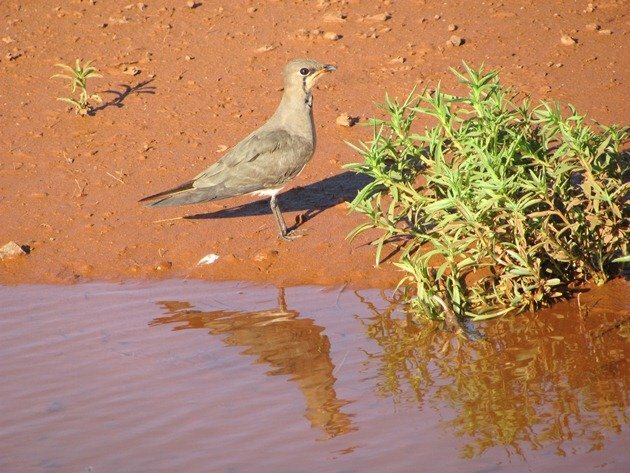 Both species are well camouflaged in the native grasslands of the north and they fly in a similar style to terns or swallows as they swoop for insects. 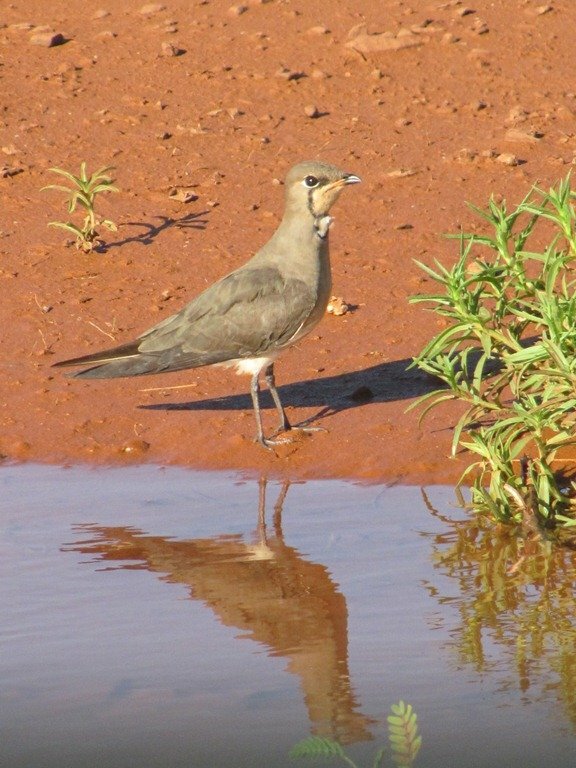 On years when we have big rain events in the north we can expect a huge explosion in the population and after recent rains in the Pilbara we may see large numbers once again this year. 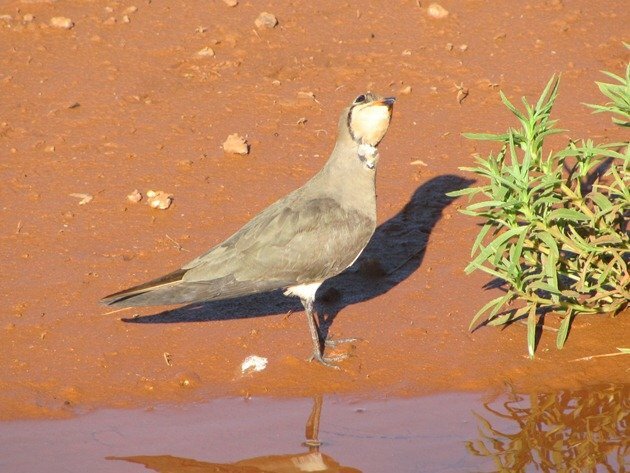 We finally had an excellent opportunity on 28th January near Karratha to photograph this species from within a vehicle! 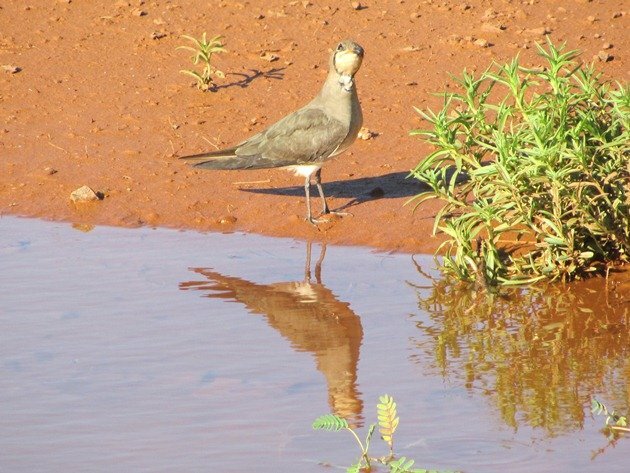 It was stood beside a puddle after recent rains at the edge of the road. Many bird species are more relaxed whilst you sit in your vehicle beside them than if you venture out from a distance further away. A vehicle that beeps in reverse is not particularly useful, though! Most vehicles that are available for use in this industrial town have this non-friendly attachment and neither ourselves or the birds like it! This bird was more concerned about other dangers overhead and dipped its body down on several occasions as threats flew over. These birds do a lot of travelling, but very little is known about their exact routes. 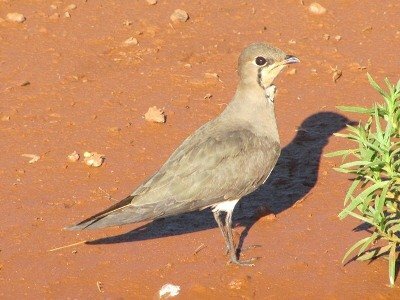 They breed in Asia, so are only present in the north of Australia from approximately November to April. 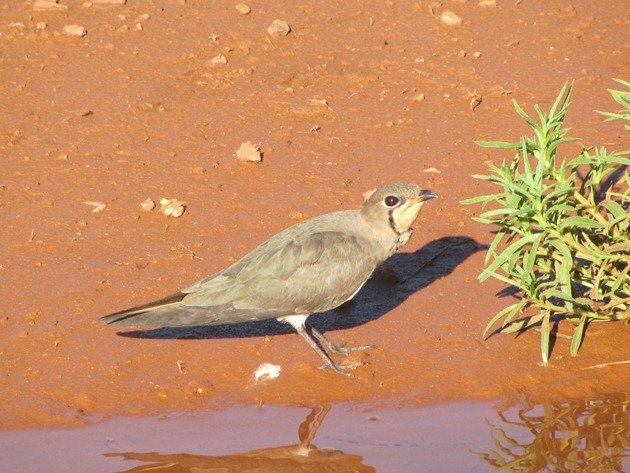 They appear to have an extremely large range and the population appears to be in the range of 3 million birds after an unprecedented flock was observed south of Broome in February 2004. 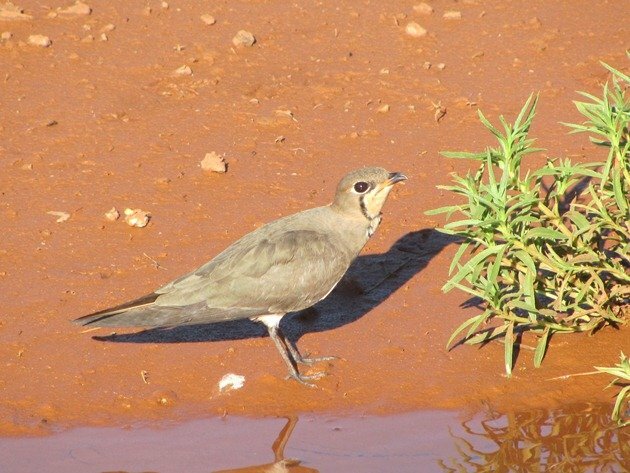 Prior to this date there was thought to be a much smaller population of approximately 75,000 birds worldwide, but when the conditions were in their favour the birds all appeared to concentrate on the coast along 80 Mile Beach in Western Australia. A similar situation followed after good rains in 2010. We are currently birding somewhere on the east coast of Australia as we attempt to get the year list topped up, so I may not be able to respond to any comments!